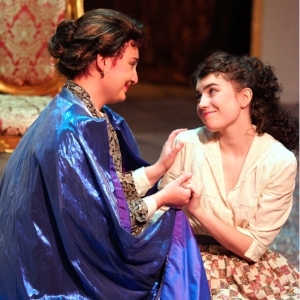 PSU Opera's production of "Cinderella" December 1-10 was a resounding success! Every show sold out, and we received positive reviews in Oregon ArtsWatch and Northwest Reverb. "The singers delivered an outstanding performance that put a smile on the faces of the audience," says James Bash in Northwest Reverb, praising the production's "charming ingenuity" and "excellent humor." I was extremely pleased with our students' performances. See below for more photos from the production. Please join us in April for our mainstage production of "Albert Herring," Benjamin Britten's lighthearted comedy. I hope to see you in the audience! Newer PostThe Opera House coming to local cinemas this week.